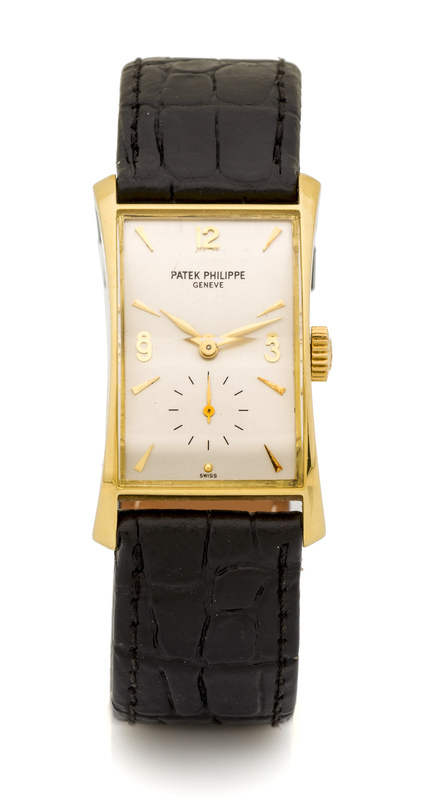 PATEK PHILIPPE, HOUR GLASS, REF. 1593 A fine, manual wind, 18k yellow gold wristwatch. Dimensions 25 x 41 mm.